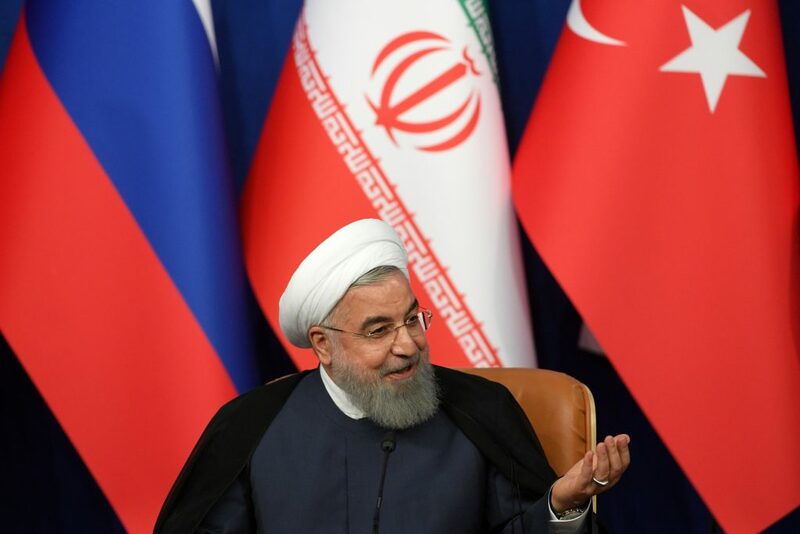 Iranian President Hassan Rouhani blamed the United States and its regional allies on Thursday for a suicide bombing in southeastern Iran that killed 27 members of the country’s elite Revolutionary Guards, Iranian state media reported. A Sunni Muslim terror group, Jaish al Adl (Army of Justice), which says it seeks greater rights and better living conditions for the ethnic minority Baluchis, has claimed responsibility for the attack, Iranian media have reported. Apart from Israel, Rouhani did not name the regional states he believed were to blame. Mainly Shiite Muslim Iran does not recognize Israel, which is a key U.S. ally in the region and sees Tehran as posing an existential threat to its existence. After repeating warnings made by senior commanders of the Guards, Rouhani said Iran was determined to bring to justice those responsible for one of the worst assaults ever against the Revolutionary Guards in years. The assault, which wounded at least 13 people aside from the 27 killed, took place in the province of Sistan-Baluchestan, which has a large, mainly Sunni Muslim, ethnic Baluchi community, and straddles the border with Pakistan. Iran has called on neighboring countries to crack down on separatist groups.